Today, the PAS Secretary-General Datuk Takiyudin Hassan said that the Najib Razak-led government is more open towards the party. “We have always wanted to attend federal programmes, but it was never allowed and we were never invited. But now, they are more open to having PAS. Maybe that is the new approach,” he said. 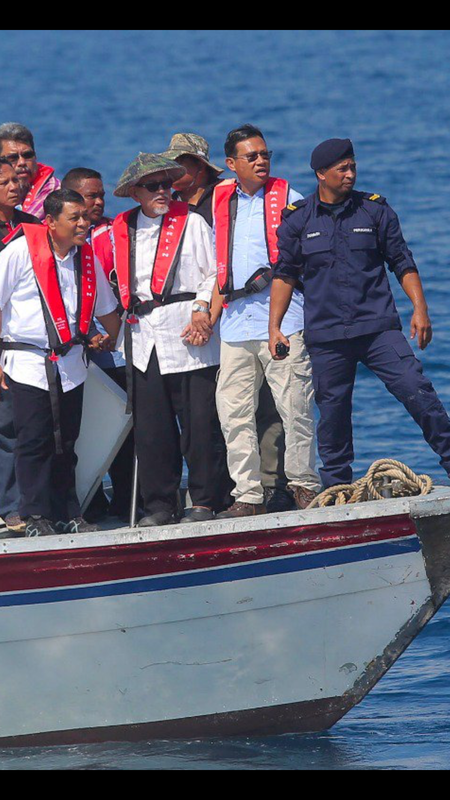 Recently, PAS President Haji Abdul Hadi Awang attended a federal government programme and was seen to be very close to Minister Ahmad Shabery Cheek in a photograph that had set the tongue of his foes wagging. Najib Razak is in Sabah again today, announcing more initiatives for the youth of Sabah at the launching of Gathering of Rising Entrepreneurs, Act Together (GREAT) 2017 at the Magellen Sutera Harbour Resort in Kota Kinabalu. Najib said the Sabah government should also set up a centre for young entrepreneurs similar to that of Sarawak’s Borneo744 in Kuching. “If there is a suitable site, I wish to propose the setting-up of a Blue Ocean Entrepreneurs town, making it the second of its kind after Sarawak,” he said. “We must find ways to increase the participation of young people with education, skills, leadership skills and entrepreneurship,” he added. In another development, Sabah’s Special Tasks Minister Datuk Teo Chee Kang said the state cabinet led by Chief Minister Datuk Seri Musa Aman had a fruitful breakfast meeting with Najib. Teo said that the state cabinet had put forward its claims for a review of the special federal monetary grants, mandatory every five years under Article 112D of the Federal Constitution. 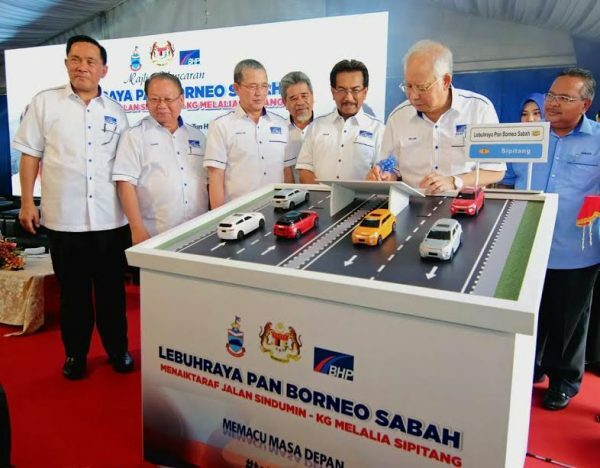 Among the things on Sabah’s wishlist given to Najib is for Sabah to be given back the power to make laws and regulate the production and distribution of gas and electricity be delegated back to Sabah, a state power which was taken away during U-Turn Mahathir’s time in 1983. Wasn’t Mahathir a Sabah-friendly PM? According to Datuk Dr Jeffrey Kitingan in 2016, Mahathir was the worst PM for Sabah. “He introduced ‘Project IC’ and told me not to ‘teach’ the people what they didn’t know (Sabah rights),” he said in his statement via Whatsapp to Borneo Post. Jeffrey also pointed out in 2013 that it was vital that the federal government clean up the mess created by (former prime minister) Dr Mahathir Mohamad in Sabah which had put Sabah and its citizens at perpetual risk. Living on borrowed time that God has given for him to repent, Mahathir still has his dreams unrealised. The only person between him and achieving his dreams is Najib Razak. Which is why the only thing that he has not done is to leave Islam to help DAP achieve its racist ideas. Mahathir has licked all the gob he had spat out at the DAP since 1969. Today, Mahathir again called upon the voters in Pekan to not vote for Najib Razak. “The residents and voters of Pekan have the opportunity to save the nation by causing the defeat of Datuk Seri Najib,” he said. I don’t know what it is that he wants to save the nation from when all that he had achieved single-handedly was to further divide the nation and opress its people. This is nothing new to Sabah’s Deputy Chief Minister Datuk Joseph Pairin Kitingan. “Once he makes up his mind he does not like a person, just like how he did not like me, he would go all out to dislodge that person. He tried to do that with me,” Pairin said. Mahathir once claimed that he had saved all his earnings (RM20,000 a month) as the Prime Minister and left the job with RM5 million in his savings. In my opinion, his story that he had been saving is purely hogwash. Najib is trying hard to give back as much as possible to the people of Sabah what Mahathir had taken away from them. 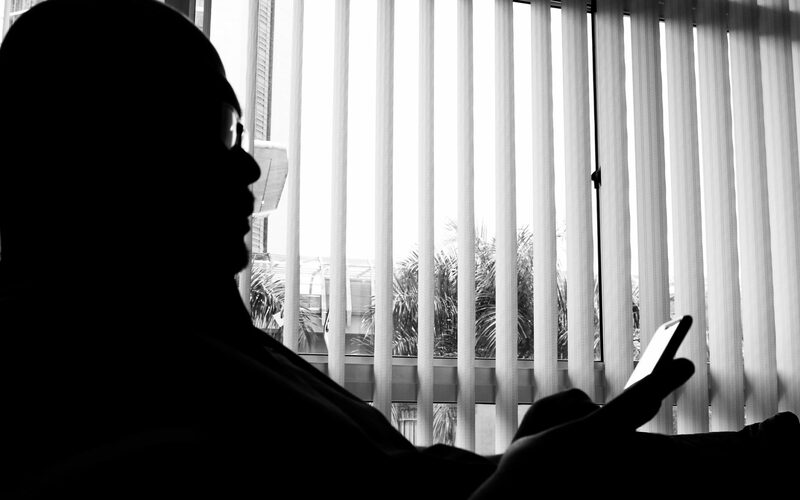 There was hardly any change in the state during Mahathir’s 22-year rule. Perhaps this is, as PAS’s Takiyuddin had pointed out, the new approach by the Najib administration. An approach where he listens and tries to help every quarter out. Try asking for the same during Mahathir’s time. His favourite song, “My Way” by Frank Sinatra says it all. Dr Maximus also pointed out and referred to Mahathir’s claim that even though he was a dictator, no one went to the streets to demonstrate against him. “Says who (that no one protested against Dr Mahathir)? Many of us who questioned his policies and actions ended up being detained under the ISA. (Deputy Prime Minister Datuk Seri) Zahid Hamidi and I myself ended up 59 days in detention by Mahathir’s orders,” he said. 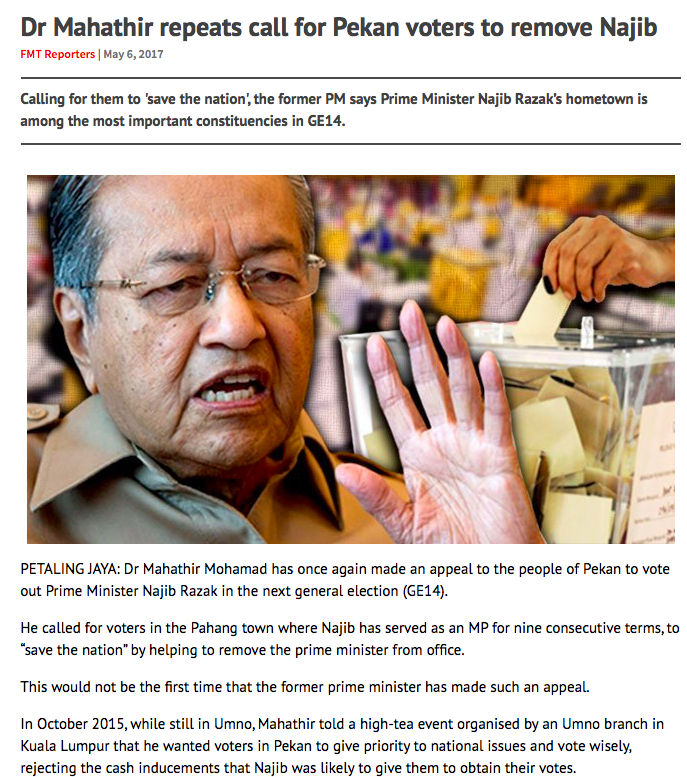 It is time for Sabahans to allow Najib to help them, and bury Mahathir for good.